Who Should Use a Heart Rate Monitor? Have you ever wondered how your heart performs as you exercise? Maybe your heart beats per minute are particularly high or low and you do not even know it. A heart rate monitor will provide such insights to eliminate all of the guesswork. This is the perfect tool to measure performance, find your optimal level of exercise and avoid injury. If you've considered getting one for yourself or wondered who should use a heart rate monitor, you've come to the right place. Here is a look at the basics of heart rate monitors and the type of people who use them. Monitoring the heart rate is essential to ensure you are working out at the proper intensity. If you're striving toward a certain fitness goal, your heart rate monitor will prove that much more useful. Above all, a heart rate monitor helps you gauge how hard you are actually working when exercising in and outside of the gym. Exercise in the target heart rate range and you won't have to worry about whether the time you are spending working out is worth the effort. Specific heart rate zones must be reached in order for fat to burn. In general, between half and three-quarters of the heart rate's maximum is required to burn fat. Figure out the heart rate you would like to reach and you will have something to work toward. This number will likely fall in the range of 50 – 80 percent of your max heart rate. Check your heart rate monitor as you work out and you will be able to determine if you should pick up the pace or slow down to hit this sweet spot. Today's heart rate monitors are advanced to the point they provide additional features beyond measuring heart beats. Some models measure the number of calories burned, speed, distance covered and so on. Certain heart rate monitor models can even be connected to a computer for an in-depth analysis of your workout. Don't assume you have to be a professional athlete to benefit from a heart rate monitor. 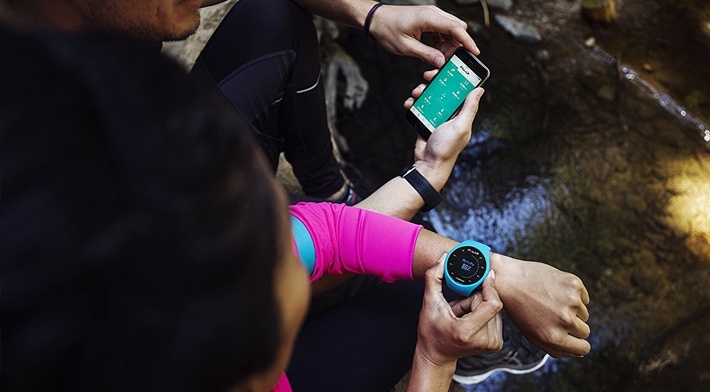 These nifty little gadgets are quickly evolving into highly complex pieces of technology that measure all sorts of data pertaining to physical performance and health for every skill level. It doesn't matter if you are an octogenarian, a child or any age in between. You can use a heart rate monitor and obtain considerable benefit from this amazing little technological device. Whether you are a neighborhood walker, a marathon runner, or participate in any other type of physical activity, your heart rate monitor will help you assess your performance and exercise at a pace that is optimal for your health and goals. A strap, transmitter and wrist unit are essential to properly measure heart rate. Enter your basic data from your height to your weight, age and gender into this wrist unit. Secure the strap around your chest and connect the transmitter. Once the watch and strap are in the proper positions, you simply press the start button and wait for your heart rate to show on the display You can start exercising as soon as your heart rate monitor begins measuring your beats per minute. Take a look down at your heart rate monitor before, during and after you exercise. Analyze your heart rate, determine if you are performing up to your standards and alter your workout routine as necessary. Using a heart rate monitor will help you make the most of the time and effort you invest in physical activity, regardless of what that activity is. In the end, people of all ages and backgrounds will benefit from this amazing piece of technology.